86-year-old Riccardo Bertani is an exceptional man. 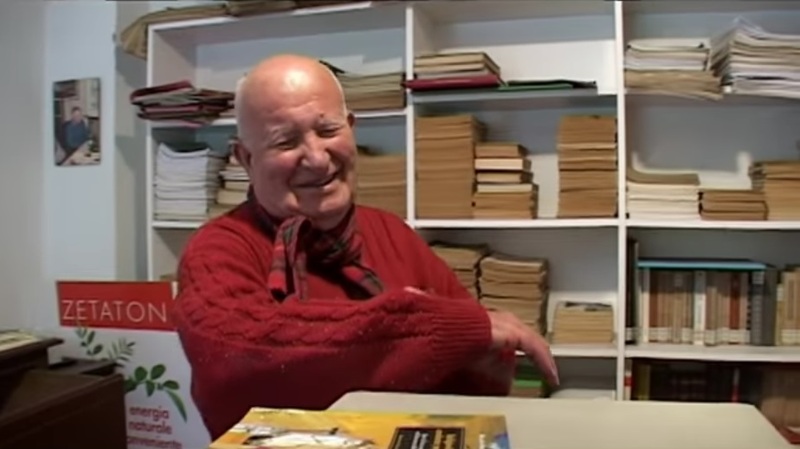 Born to a family of farmers in Caprara, a small settlement in Reggio Emilia, Italy, he abandoned his study right after elementary school and dedicated his life to translating and documenting over 100 extinct and rare languages from all around the world. “It was castrating, I quit,” Bertani says about his decision to leave school right after completing his elementary studies. “I was interested in other things, and I have to say that only one teacher understood my decision.” Claiming to be “allergic to math”, the young boy started working in the fields, like most of the men in his village, but soon realized he wasn’t much of a farmer, either. That’s when he started focusing more on the things he was most passionate about, reading and learning languages. Since Riccardo’s father was a member of the Communist party and former mayor of the village, most of the books in his house growing up were Russian tomes. Even though he didn’t understand the language, he was fascinated by them. He started looking up authors like Lev Tolstoy, reading their works in Italian, and then using a Russian grammar book to learn the original language they had been written in. For some reason, he was attracted to Eastern countries like Russia and the Ukraine and for the next 18 years he did nothing but translate whatever books he could find from those countries. And after diving deeper into their culture, he discovered all these different Siberian people, Mongolians, Eskimos, and developed a taste for rare and extinct languages. But just as a amazing as his hunger for linguistics is Riccardo Bertani’s unique studying schedule. Ever since he was a young boy, he had a thing for dawn. “For years, I would wake up at two in the morning and wait for the sun to rise. During those hours, my brain seemed to function better, I had a clear mind, so I started to pass the time studying,” Bertani told Italian newspaper La Repubblica. As he got older, that schedule became a bit too tough, but even at 86-years-old he still wakes up at five in the morning to see the sunrise and study his beloved languages. Ricardo Bertani’s mastery of over 100 rare and extinct languages is famous among linguists the world over. He has been invited to countries like Russia and Bulgaria to speak about his experience, but he has always declined. In fact, he has never set foot outside Italy. The reason, he says is fear of disappointment. He has formed his own image of Russia and other countries from the books he has read over the years and he doesn’t want that spoiled by reality. “I’m afraid that it would be like seeing Greece today after reading the Aeneid,” Riccardo says. Interestingly enough, Riccardo Bertani doesn’t speak English, German or other modern languages, but test his knowledge of Yakut or Etruscan and you’re in for a big surprise. Despite his extensive knowledge of languages, Riccardo Bertani is not ashamed to admit his faults. Having left school after five years of elementary studies, he admits that when it comes to simple math like multiplication of division or single figures, he has great difficulties. He was always a “disaster” at both arithmetic and geometry, which is one of the reasons he hated school so much.